Farrar, Straus and Giroux, 9780374281083, 560pp. The Sport of Kings opens with a question that resounds throughout the story: “How far away from your father can you run?” Later, Henry Forge reflects, “That was the game of youth, wasn’t it—murdering one’s father?” (p. 312) Henry, Henrietta, and Allmon Shaughnessy all rebel against their fathers’ identities and values. How far away does each of them ultimately manage to run? What impact do their mothers have, present and absent? When teaching Henrietta about Thoroughbreds, Henry says, “Evolution is a ladder, and our aim is to climb it as quickly as possible.” (p. 105) There are many references to ladders throughout the book. What might these signify beyond Henry’s understanding of evolution? Unlike the Forges, Jamie Barlow, Ginnie Miller, Penn, and Lou, the veterinarians are not wealthy or powerful. They speak a plain language about a simple world, thereby offering comfort, relief, and sanctuary. What wisdom do they try to convey to Henry and Henrietta? How do they compare with the nonfamilial influences in Allmon’s life? When Henry is at last free of his father, letting the Forge farm go fallow so he can plant clover and raise horses, does he break free of the past or is he somehow perpetuating the legacy of his ancestors? The Sport of Kings comprises a narrative thread about the Forge family and Hellsmouth interspersed with self-contained stories. Some of these stories read like myths or folktales; others have biblical echoes. How do these inform the main narrative, and how do they contribute to the themes of this novel? What are Henrietta’s passions as a girl and how do they shape the woman she becomes? How does she change after her encounter with Penn? Are there times in their lives when the main characters experience real love as opposed to lust, admiration, greed, or other emotions they mistake or substitute for love? Do Henrietta and Allmon love each other? Discuss the culture and codes of the Jockey Club. What is at stake besides money? What are the parallels between Hellsmouth’s captivity and Allmon’s? What does Allmon learn from his grandfather? What is the meaning of his sermon? (pp. 215–221) How does the jockey Reuben Bedford Walker III relate to the Reverend? What does the genesis story, featuring the God of Pine Mountain, say about the origins of human suffering? How does Henry feel about horses as a boy? As a breeder? After Henrietta’s death? Based on the last line of chapter 6, what might Hellsmouth’s future hold? Why doesn’t Allmon kill Henry? When he goes into Henry’s house to set it on fire, what is he seeking to destroy? The book is structured with six chapters, five interludes, and an epilogue. What is the purpose of the interludes? Did they distract from or enhance your experience as a reader? How did you interpret the epilogue? Is there redemption in The Sport of Kings? 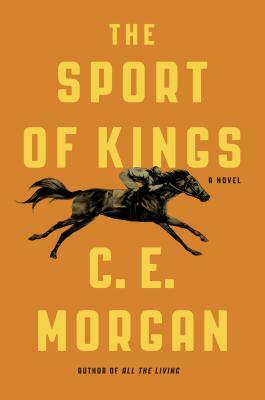 In The Sport of Kings and in her debut novel, All the Living, what images of longing and hunger does C. E. Morgan create? What is the ultimate source of solace for her characters? How do both novels capture humanity’s relationship to the natural world?